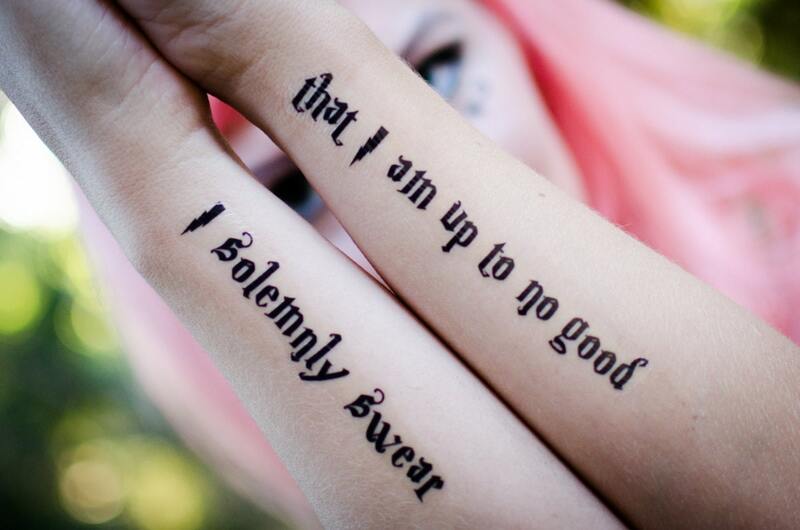 For the marauder in all of us, here is the famous phrase that has inspired tattoos of all kinds in all kinds of places. 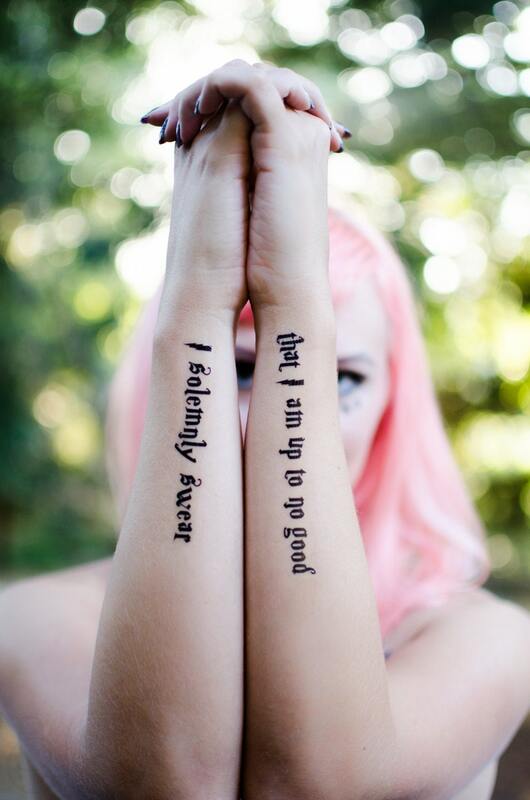 The tattoos are 4" and 5" long and arrive in two parts. Remember, smaller tattoos can be more fragile. Can last up to 7 days with minimal moisture and abrasion. Expect at least 2 days of awesome.